LOVELY LOOKING, RELIABLE, SMALL BUT SPACIOUS 5 DOOR HATCHBACK IN THE BEST COLOUR OF AURORA BLUE METALLIC WITH BLACK CLOTH INTERIOR IN TRULY EXCEPTIONAL CONDITION THROUGHOUT. THIS BEAUTIFUL EXAMPLE COMES WITH GREAT SERVICE HISTORY, A NEW 12 MONTH MOT, NEW SERVICE, 12 MONTHS COMPREHENSIVE NATIONWIDE WARRANTY AND 12 MONTHS AA BREAKDOWN COVER. JUST ARRIED! 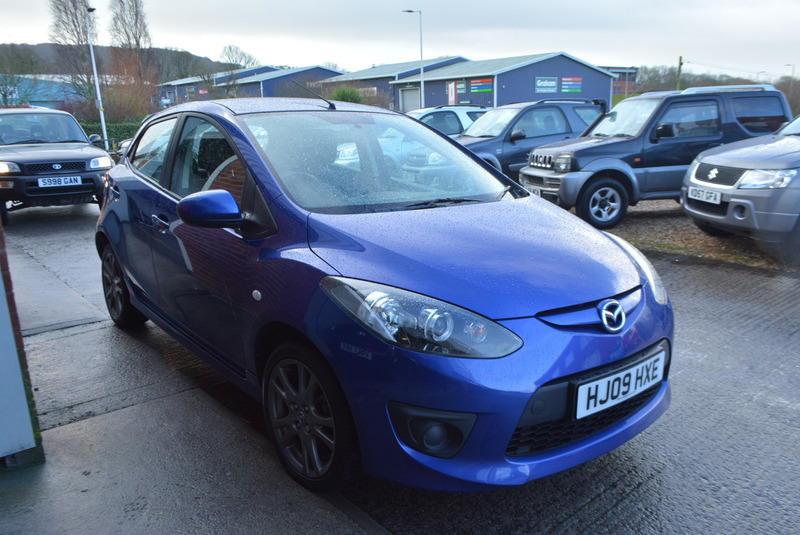 Here we have a stunning MAZDA 2 TAMURA 1.3L PETROL MANUAL 5 DOOR HATCHBACK in Aurora blue metallic with black cloth interior in fantastic condition throughout. Great service history at intervls of 0k, 6k, 12k, 21k, 36k, 51k & 66k, having now covered 77,000 miles. Coming fully equipped with alloy wheels, air conditioning, electric front windows, am/fm stereo with front loading cd player and steering wheel mounted controls, electric mirrors and two fully remote keys.